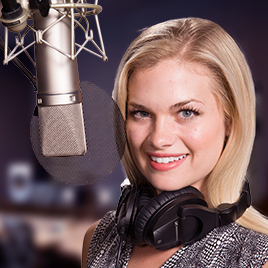 Amazing Voice Pricing Request | Get Your Quote Fast! Get your quote by email fast! Usually within a few hours. Or call (888) 669-7307 to speak with a voice over specialist. Alternatively, [click here] for an Instant Quote. Please choose a production type. "Another great job ! 5th time using them, and 1st time requesting audio in another language. Came out perfect ! "